We have some good news for the following weeks! You may benefit from great sales in Singapore as interesting as 15% off on spending more than $200. 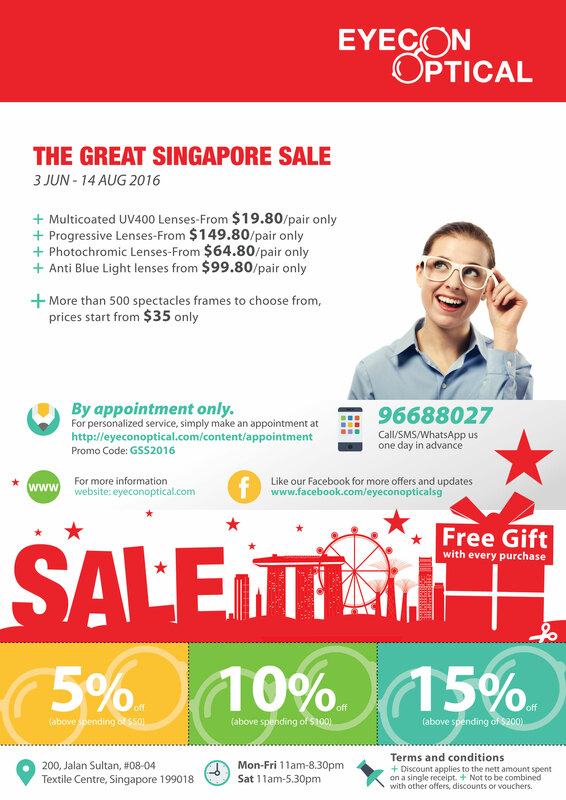 So do not miss this unique opportunity, get your lenses and spectacles frames at the best prices now!